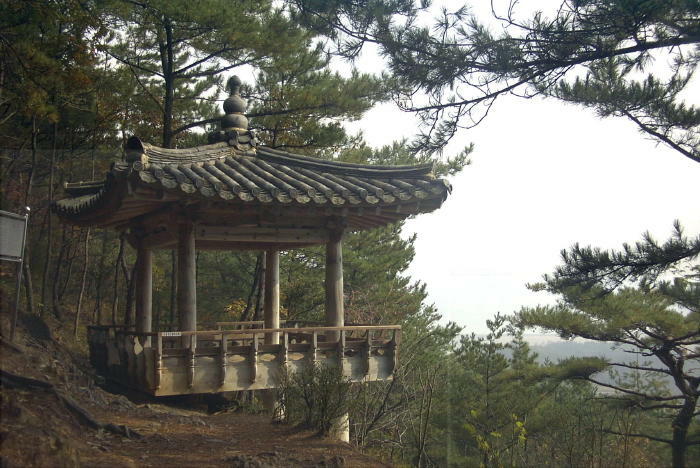 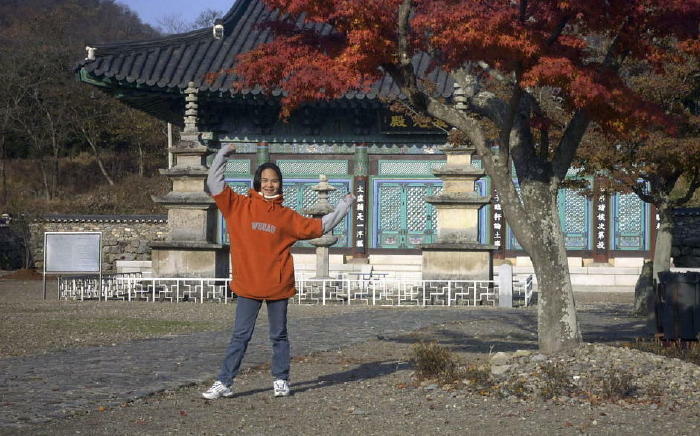 The Dasan Chodang is a charming hermitage/school, on a thickly-forested slope just south of Kangjin Town. 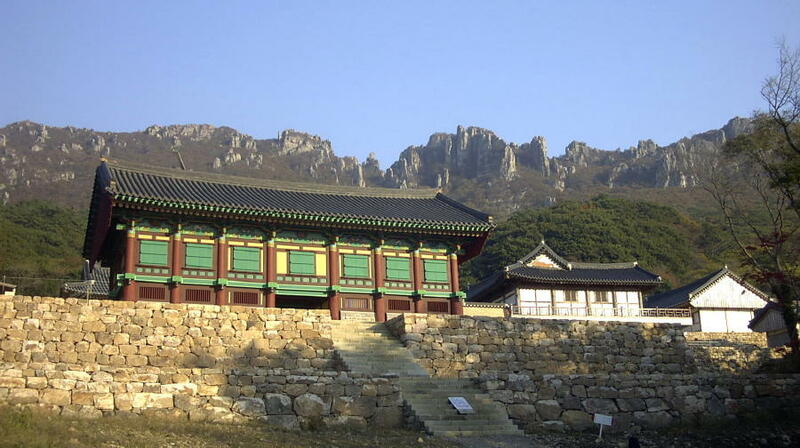 Here the great 18th-century Neo-Confucian philosopher "Tea Mountain" Jeong Yak-yong lived in exile for more than a decade, sharing ideas and green tea with local Buddhist monks. 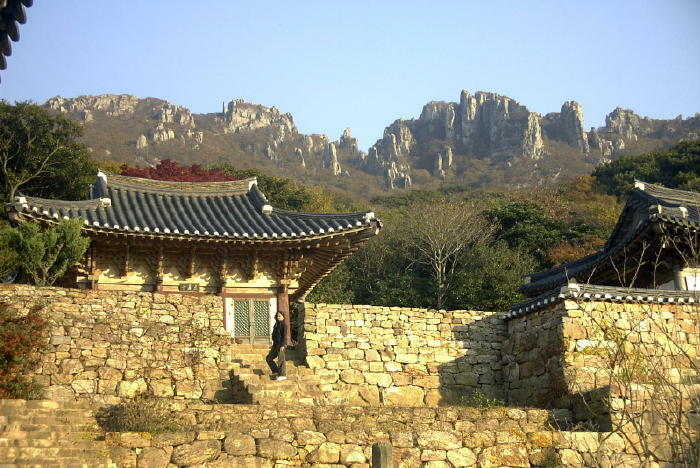 Historic Mihwang-sa, the southern-most temple on the Korean Peninsula mainland, way down on the Haenam-bando, at the stunningly beautiful Dalma-san [Bodhidharma Mountain], which now claims to be a Provincial Park. 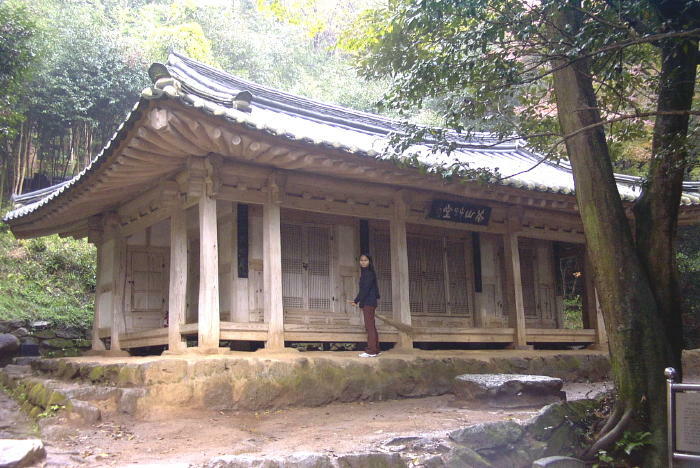 It certainly deserves to be! 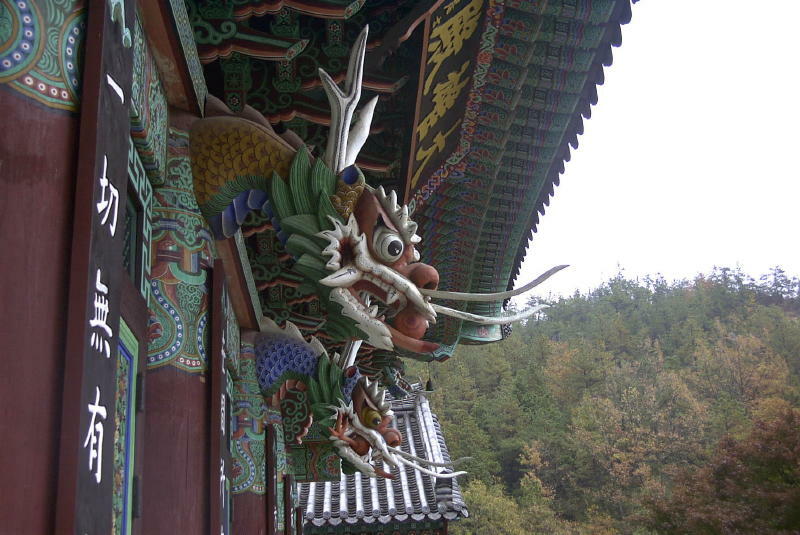 Geumgok-sa [Golden Valley Temple] just north of Kangjin has an amazing natural-rock "gateway" (the building in front is a restaurant) and good dragons protecting the Main Hall. 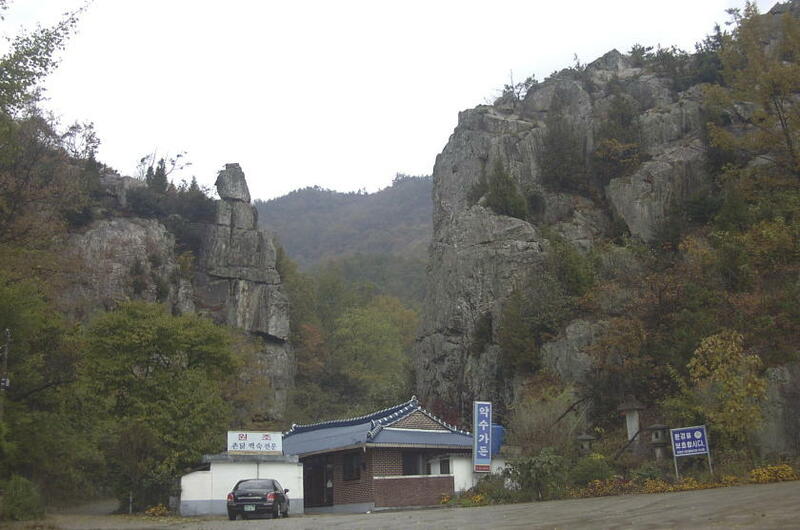 Two rainy-day shots of Cheon-gwan-sa, way up a long bad road on Cheon-gwan-san, which has also been newly designated a Provincial Park. 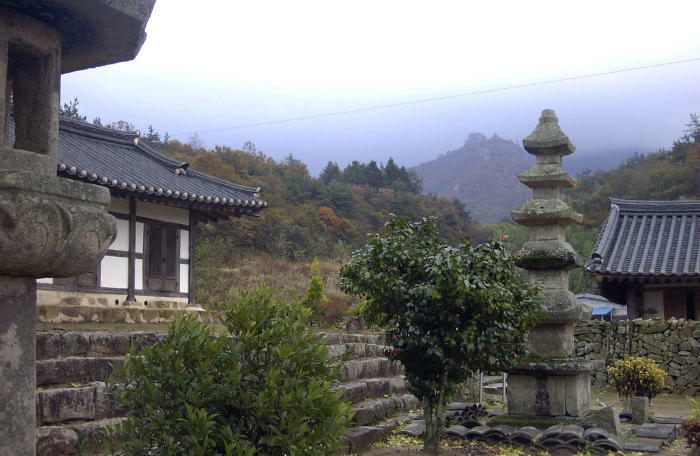 It features a 1000-year-old pagoda. 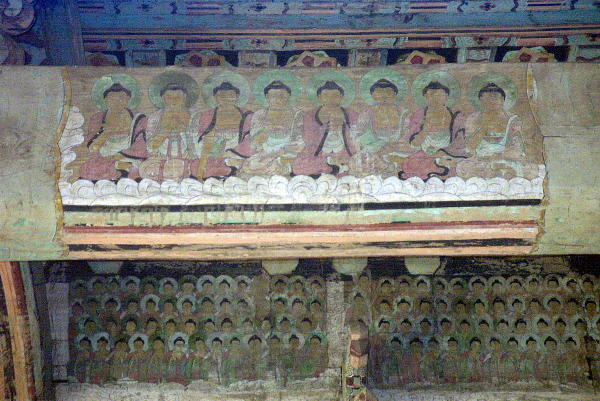 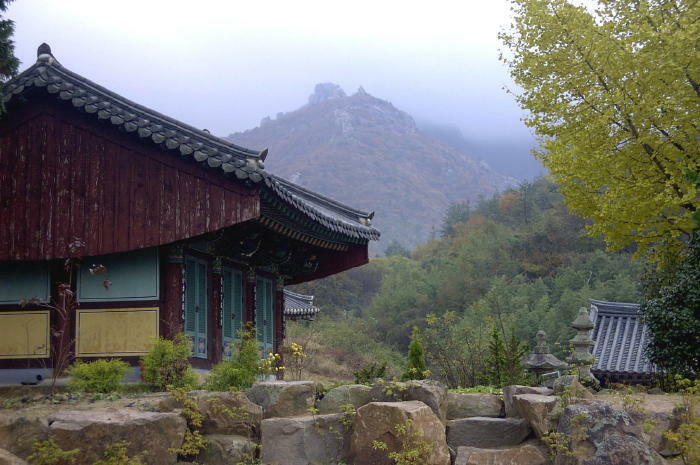 Gaji-san Bolim-sa was the first Korean temple to host the Meditation-only [Zen] sect, about 800 AD. 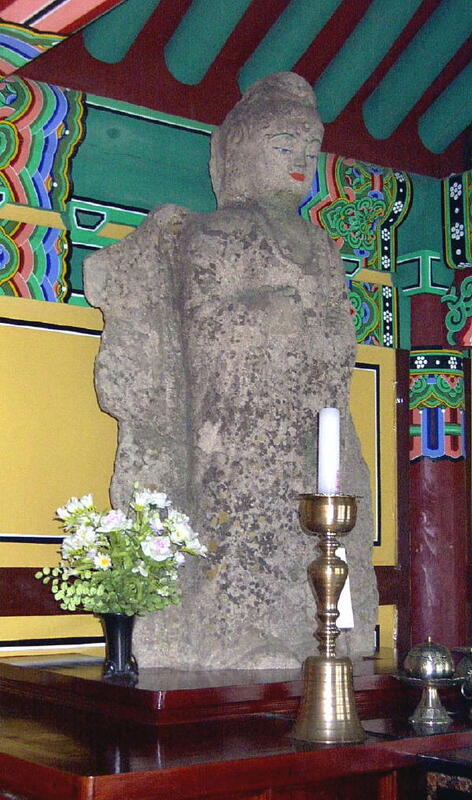 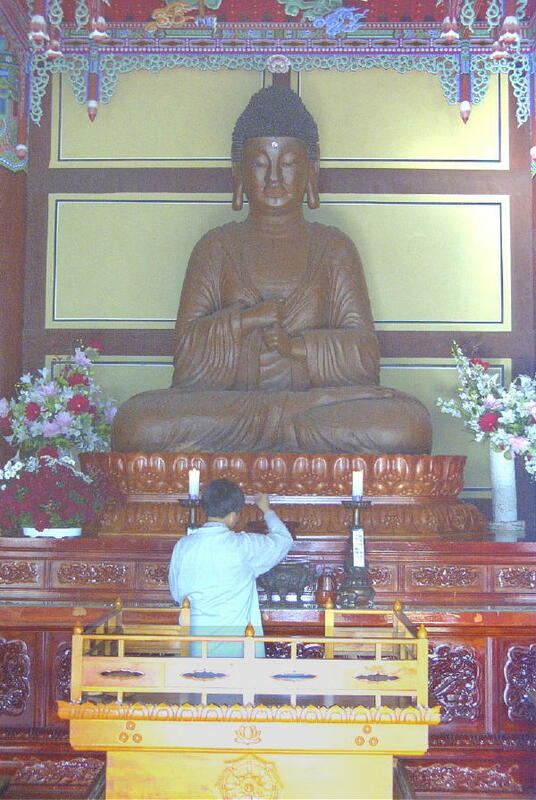 Remaining there are plenty of excellent granite artworks and a rare iron Buddha.